Walking in West Sweden can be a rewarding experience in many different ways. Short day trips with fine accommodation and meals made from locally sourced food, or more strenuous hikes through challenging terrain. Whichever you prefer, the choice is huge. A good place to start is Ramsvik Holiday Village & Camping. It’s close to the sea, and one of its specialties is walking. 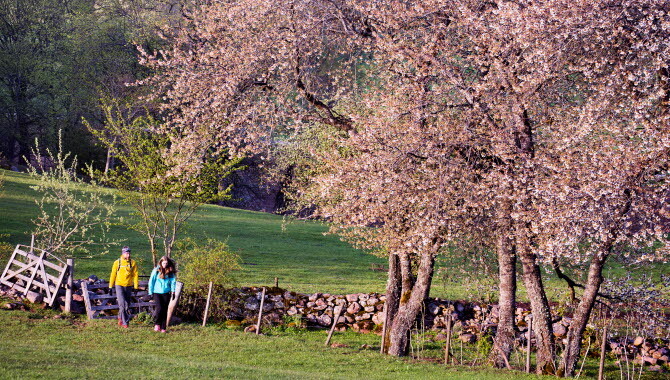 Another smart option is Ramsviks Övergård, a farm that offers accommodation year round. Out in Ramsvik there is also a separate system of trails, the Ramsvik trails, with lots of treasures to discover. The Nordens Ark Zoo is also worth including in your walk, as well as the villages of Hunnebostrand, Bovallstrand, Smögen and Kungshamn, or why not the island of Bohus Malmön. As you can see, there’s lots to see and experience along the Soteleden trail. Another good option that offers loads of attractive scenery is Kuststigen – the Coastal Path. It’s the Swedish part of the North Sea Trail, and it runs all the way from Oslo in Norway down to the southernmost part of the island of Tjörn. 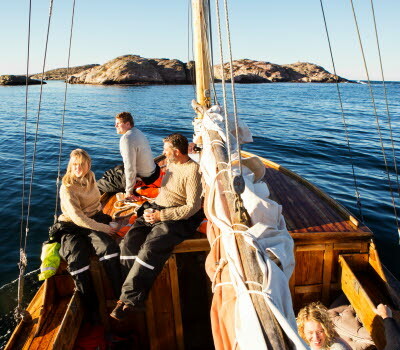 On the Koster Islands there are great day trips through fascinating landscapes. Don’t miss the steps up to the top of the Valfjället peak on South Koster Island, where you get views across the entire Koster archipelago. From there it’s not far to Kosters Trädgårdar, a perfect place to stop for lunch. Further south is the area around the Fjällbacka archipelago. Here are several shorter walks, each with its own highlights. 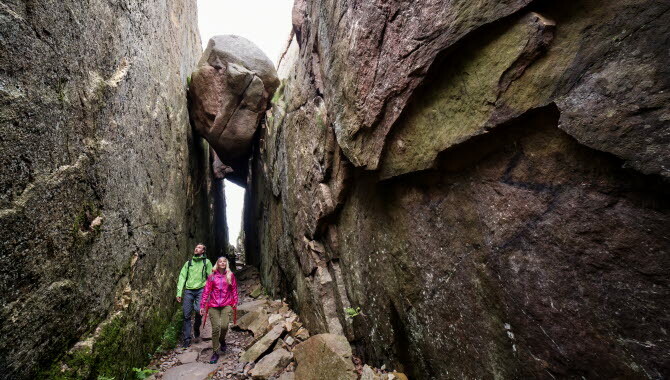 You can either do a murder walk in the footprints of crime author Camilla Läckberg, or walk through the impressive crevice, Kungsklyftan, before following the Vetteberg trail back to Fjällbacka around the mountain. 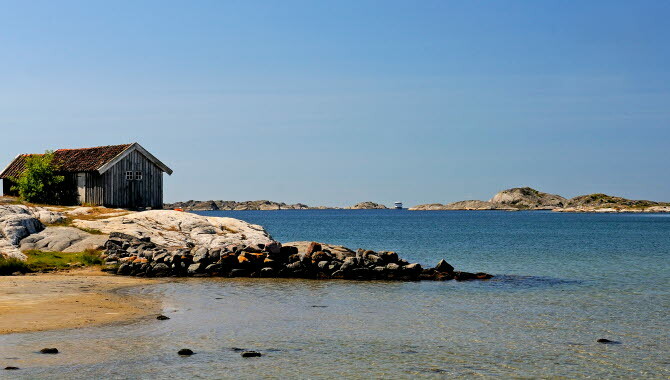 On Väderöarna, or the Weather Islands, you have Sweden’s most westerly walking trail. It’s not long, but can be fairly challenging. And of course you mustn’t miss Vitlycke and Tanum, with a walk around the rock carvings – a UNESCO World Heritage Site. The Coastal Path “jumps” over the Soteleden Trail, south to Lysekil. Along the way, after the Nordens Ark Zoo, you also pass the small but sweet Villa Bro, a mini-centre for walkers, climbers, kayakers and mountainbikers. 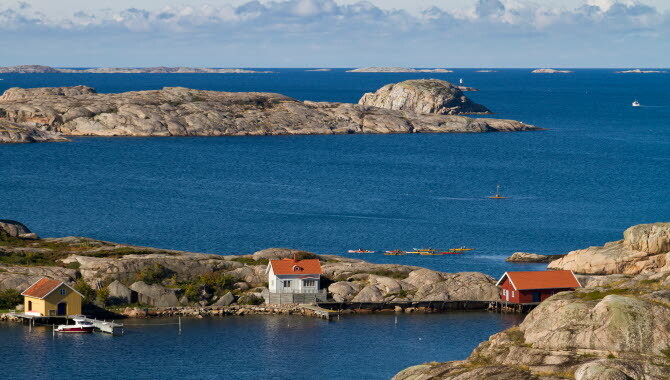 The land areas to the north and south of the Gullmar Fjord, around Lysekil and Skaftö island, consist of green pockets and undulating granite formations. One really worthwhile journey is to cross over to the south side of Gullmar Fjord and visit Islandsberg where you can enjoy spectacular views from the lighthouse. 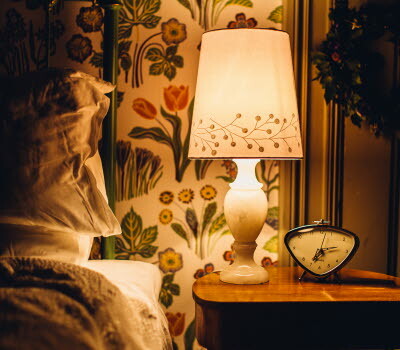 Or if you feel like a little luxury, check in at Villa Sjötorp outside Ljungskile and take a walk through the picturesque area of Lyckorna. In Ljungskile the Coastal Path links up with the Bohusleden, a 370-kilometre walking trail with 27 stages, stretching from Lindome in the south to Strömstad in the north. 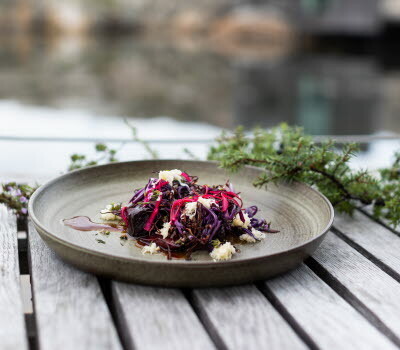 One great spot along the trail is Gunnebo House and Gardens, where you can enjoy high-quality locally produced food. Others are the Svartedalen nature reserve and the hilly wilderness area in Uddevalla and Munkedal municipalities. Of course, the entire west coast is dotted with islands, many of which offer great walks across the beautiful granite formations that make up the coastline here. For instance, the island of Dyrön has magnificent views across the Marstrand Fjord and a rather hilly five-kilometre trail. Prome-Mare on the island of Koön and the trail around the adjacent island of Marstrand are two examples of short but scenic walks where the sea is never far away. Billingen between the towns of Skövde and Skara is a recreation area with lots of superb hiking. It’s actually several trail systems: Billingen, Vallebygden and St Elin’s trails, which combine to make a 65-kilometre stretch. It’s magnificent when the cherry trees are in bloom. Or why not explore Silverfallet, a series of waterfalls with a total drop of 60 metres. Läckö Castle, built as early as 1298, is a stunning sight as it rises above Lake Vänern. From historic accommodation you can stroll on trails that wind along the lake’s edge. Not far away is the elevated region of Kinnekulle, with a 45-kilometre trail. This takes you past a waterfall, nature reserve and areas of great historical and cultural significance. And every year there are guided pilgrim walks. Walking along the Göta Canal is possibly the best way to experience Sweden’s largest-ever construction project. A car-free gravel road runs alongside the canal, from where you can watch people, the locks and the countryside. A really pleasant option is to book accommodation along the canal, and walk from one to the next. Some good ones are Pensionat Prästgården in Töreboda and Norrqvarn Hotell & Konferens. 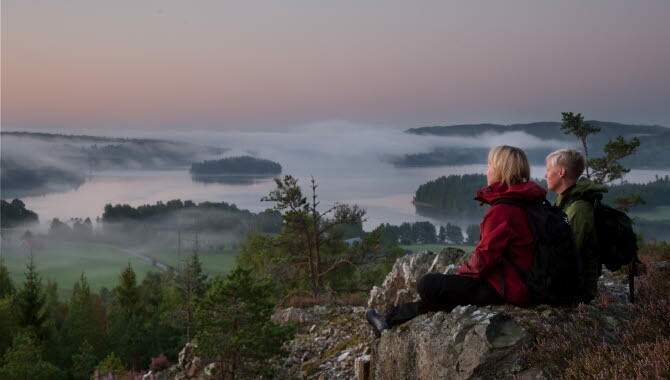 Moving further north in West Sweden, the province of Dalsland offers some superb walking. A fascinating choice is the the 100-kilometre Pilgrim trail, where over the centuries pilgrims have walked, en route to Nidaros in Norway. 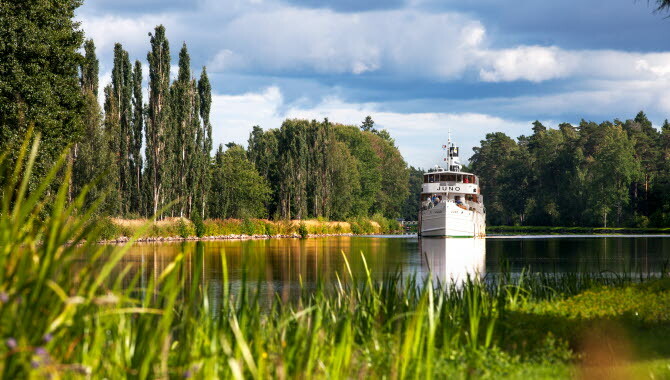 It passes the Dalsland Canal, through undulating countryside and several places with good food and accommodation. Edsleskog Guesthouse is also located on the trail, and well worth a stop. Tresticklan National Park is a must-see. Dalsland has so many excellent trails, so it’s best to contact the local tourist information centre for more detailed information. 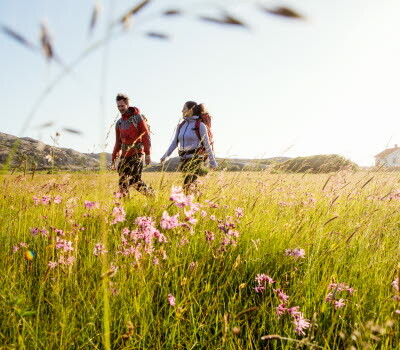 West Sweden has some of Sweden’s most rewarding walking experiences. Choose from open countryside, undulating terrain, sculpted granite coastline or historically significant areas. 1. Choose suitable clothing. Cotton doesn’t breathe well. Woollen materials breathe, and keep you warm. 2. Don’t wear new footwear. Blisters can turn your walk into torture. Make sure your footwear is worn in before you start out. 3. Travel light. You can often reduce your packing more than you think. A backpack that’s too heavy will give you sore shoulders. 4. Take care of yourself. Bring a small first-aid kit, and extra food and clothing. Hope for the best, but plan for the worst.